The Senate Judiciary Committee is probing Google on their handling of the of massive data exposure on their Google+ platform. Sen. Chuck Grassley is questioning Google CEO Sundar Pichai as to why the data failure was not disclosed to Congress when it was discovered in March. Google executives have not participated in requests to testify before the Senate Intelligence Committee. WASHINGTON – The Senate Judiciary Committee went after Google on Friday for failing to disclose their considerable vulnerabilities that led to the exposure of personal information of users on its soon-to-be shut down social networking site Google+. In a letter to Google CEO Sundar Pichai, Senate Judiciary Committee Chairman Chuck Grassley hammered the company for not participating in past hearings and failing to disclose the glitch. 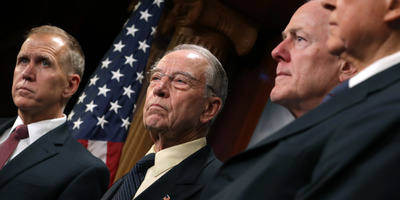 Grassley also pressed on several lingering questions for Google, including why the glitch was not disclosed to either Congress or its users when it was discovered back in March and whether they are conducting audits of third party developers. Google has so far been uncooperative with lawmakers, making them furious at the tech giant. In September, when Twitter CEO Jack Dorsey and Facebook COO Sheryl Sandberg testified before the Senate Intelligence Committee, Google declined to participate. “Given its size and influence, I would have thought the leadership at Google would want to demonstrate how seriously it takes these challenges and to lead this important public discussion,” said Virginia Sen. Mark Warner, the ranking Democrat on the Intelligence Committee. Grassley gave Pichai until October 26 to answer the slate of questions.